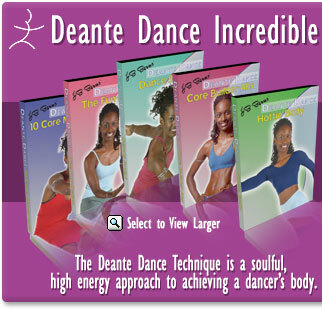 Deante Dance System - Why workout when you can have fun and Dance the Pounds Away with the Deante Dance System. Transform your living room into a stage with this upbeat, percussive jam, which includes fast paced and sharp choreography that will leave you ready for an encore. Lengthening Lunges Video: Strengthen your lower body through a series of deep lunges, squats and descents. Attain the dancer’s legs you've always wanted. Floor Work Video: Lengthen your legs and strengthen your core with a series of leg extensions, stretches and develops that will create the long lean limbs you've always desired. 2 Fun Dance Workout Videos! Deante Dance System An Amazing Offer with Over $70 in FREE Bonus!  FREE: Slim Down Scheduler and Sleek and Slender Meal Planner. The Deante Dance technique is a compilation of both percussive and liquid movements that strengthen and support your core, while lengthening and elongating your entire body. The movement is a combination of contractions, curves, spirals and strikes that move in a fluid, yet rhythmic pattern of dynamic choreography. Inspired by the shapes and forms found in both the Lester Horton & Martha Graham technique, Deante Dance is a unique fusion of all styles of dance with a contemporary twist. Why workout when you can have fun and Dance the Pounds Away with the Deante Dance System. Introducing an exciting new breakthrough in fitness; the Deante Dance System! The complete weight loss and total body sculpting system that takes the work out of working out! In as little as 20 minutes a day, you can have fun while you trim your waistline and flatten your abs, sculpt your arms, shoulders, legs and derriere just by dancing the Deante way. "The fantastic music of award winning composer William Catanzaro, and percussionist Damien Bassman will make you dance and enjoy every step. The driving beats and beautiful melodies will guarantee to make you get up and dance"